The thought of a family picnic can often fill even the happiest soul with dread but the sun was shining last Sunday afternoon, so that was what my Mum wanted to do. 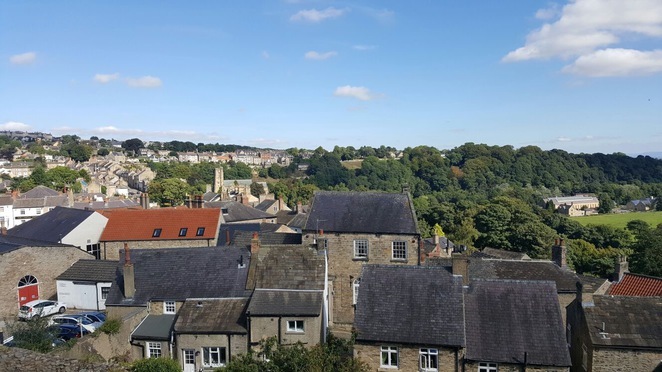 We packed up the picnic hamper (we're not actually that middle class - we bought it in Aldi) and sped off across North Yorkshire towards the picturesque town of Richmond. Richmond castle is one of the greatest Norman fortresses in the UK. It is by far the best-preserved castle of its age. The original curtain wall of the castle is still intact (just) and dates back to the 11th Century. 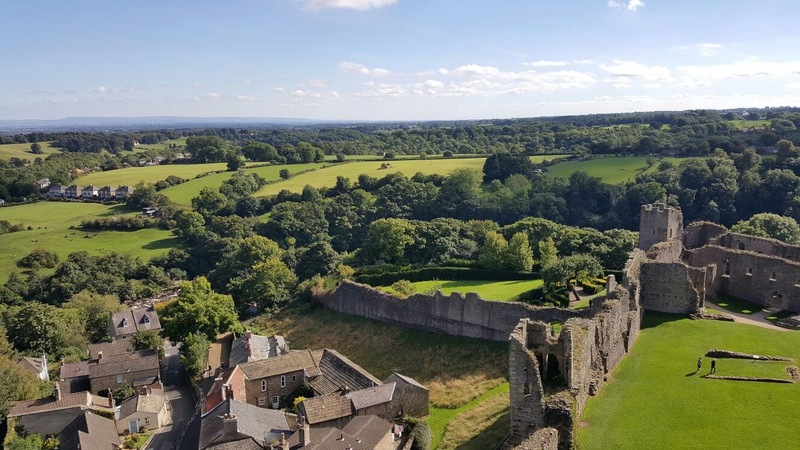 The castle was built as a result of the Norman conquest at the Battle of Hastings in 1066 and is estimated to have been built at some point in the 1070s. 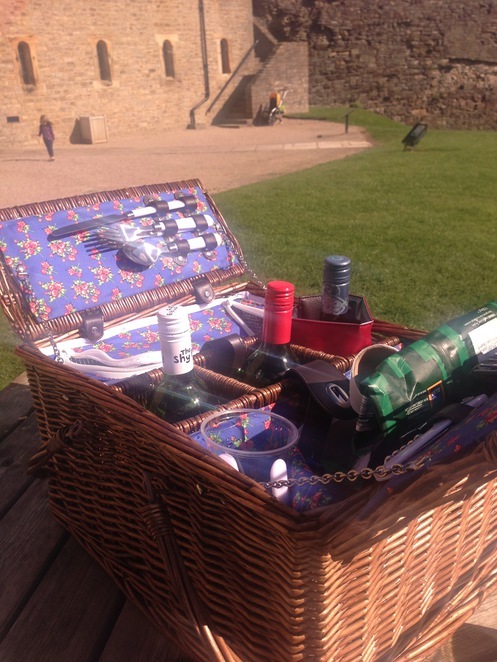 Most notably the castle was used as a prison of war for conscientious objectors during the First World war. It became known for the infamous 'Richmond Sixteen' who were sixteen absolutists from various parts of the surrounding area. They were sent to France to be court marshalled, but were spared the death penalty and this is thought to be due to the personal intervention of the then Prime Minister of Great Britain, Herbert Asquith. 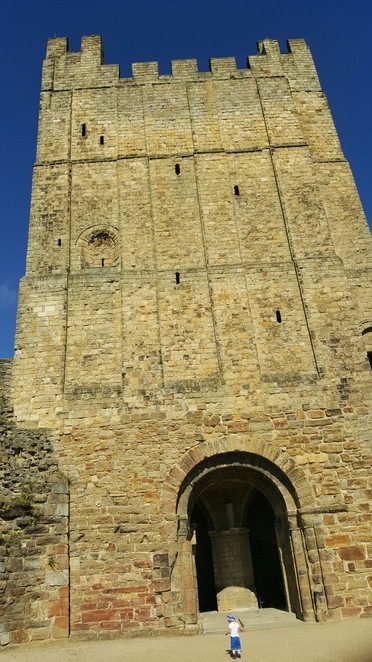 Graffiti left by the Richmond Sixteen can still be seen on the walls of the castle but these rooms are currently closed to the public. English Heritage will have you believe this is due to the pencil deteriorating on the walls, but my family agreed in unison it is also highly probable that whatever they wrote is not really fit for public view. I cannot even imagine what it would be like to walk up and touch something built as early as the eleventh century. 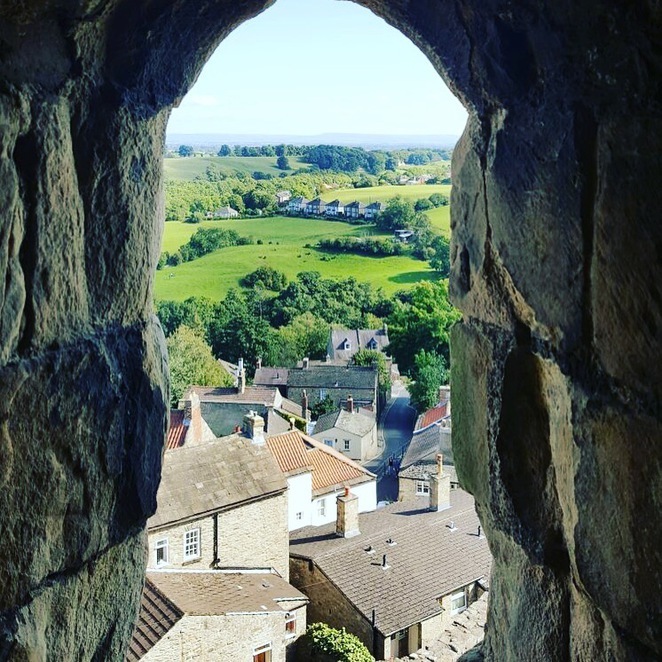 Great shot of the Yorkshire Dales through the castle window. Welcome to writing for WN Lianne.